AIG American General Life Insurance Company is one of the best life insurance companies internationally and one of the most financially stable companies True Blue is proud to offer. Offering a customizable term policy and guaranteed issue whole-life policy, AIG American General continues to rank very high among the most affordable term life insurance providers and offers one of the highest policy face values with a medical exam in the industry. Looking For AIG American General Life Insurance? While other companies will automatically reject people with various pre-existing conditions because they are more risk averse, AIG American General has some of the best underwriting for more of the higher-risk customers that other companies don’t want to insure. If you have a pre-existing condition, you can still be insured with affordable life insurance — even with a rejected application in your past. As one of the most competitive term policies on the market, AIG American Select-A-Term provides quality term coverage at an affordable rate. Offering a return of premium, this policy provides the ability to have your paid-in premiums refunded if you outlive the policy term. When you’re looking for a company that is more open to applicants with riskier occupations and less-than-ideal medical histories, AIG American General typically comes out ahead of some of the other fully underwritten life insurance companies. Combine this with the ability to customize your term life insurance policy and AIG’s financial strength, and it’s easy to see why people continually choose AIG American General as their company. 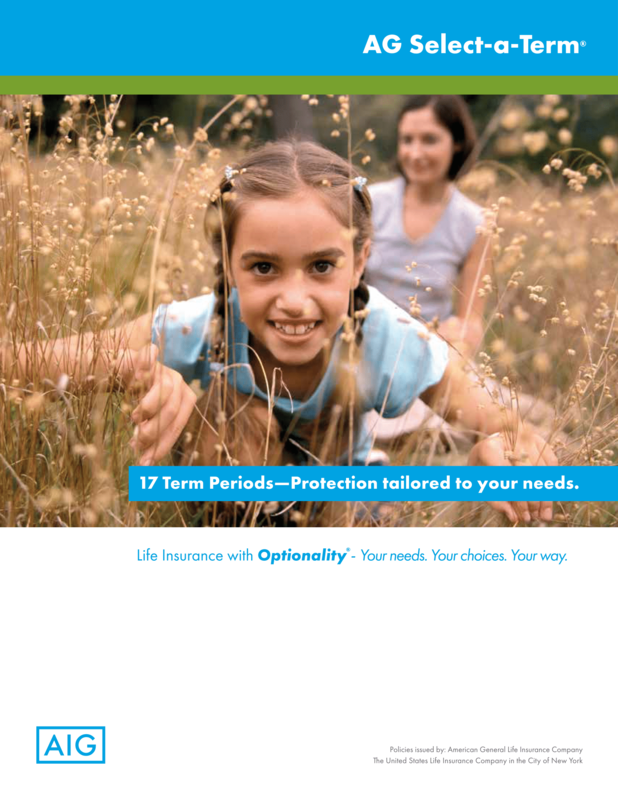 The Select-A-Term product offered by AIG American General is a unique policy, as it allows you to choose the length of coverage that best suits you out of 17 different options. Other insurance companies typically offer only four choices. That extra flexibility, along with AIG American General’s excellent riders and competitive rates, make this life insurance carrier a popular choice among our customers. 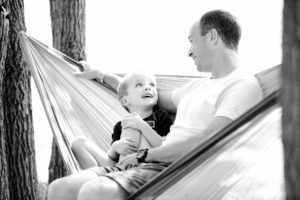 Offering the same great protections as the customizable Select-A-Term product, the return of premium policy provides a guaranteed refund equal to the premiums paid if you outlive the policy. 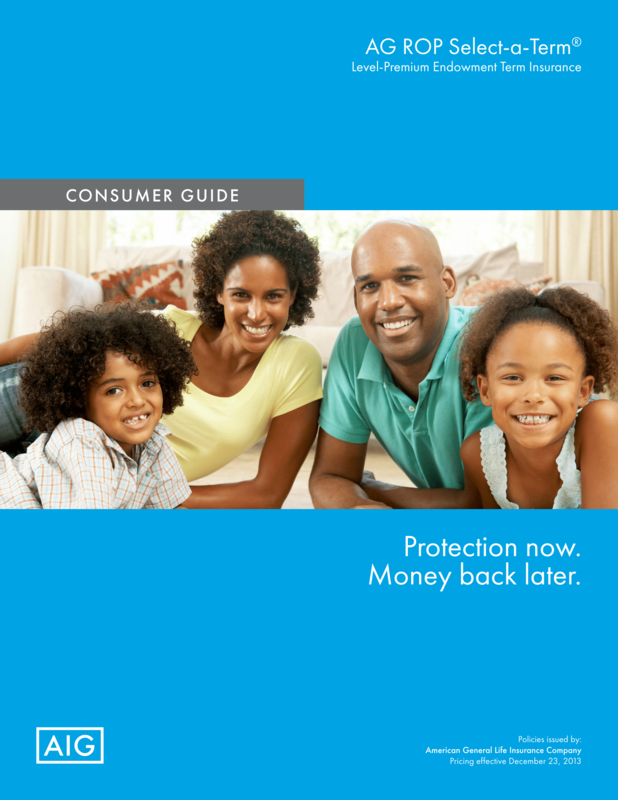 Often viewed as a forced-savings plan, a return of premium policy provides an excellent way to save money for the future AND obtain the life insurance protection you need to care for your family’s financial future. Don’t want to surrender the policy for the return of premium? No problem. Other options are available, such as converting the policy into a permanent policy, or continuing to pay premiums and receiving an endowment at age 95 equal to the face value of the policy. AIG American General offers a variety of options to better define your success and your family’s protection. Our job is to find the best solution for you without the typical sales pressure, and to answer any questions you may have. We shop for the best rates and then work with you to find the policy that is right for you. Call us at (866) 816-2100 or email us with any questions or to get a quote. You can also get your own quote on our website and request that we follow up with you once you’ve taken the time you need to research the many options available. Once you have determined which insurance policy best suits you, we will send you the application and even help you complete it. Depending on the company, these applications can either be electronic or paper applications. Once the application is completed, we will inform you of the next steps (if there are any). The completed application is reviewed by the insurance company’s underwriting team, who will make a final decision on your application. Underwriting can be simple and quick, or long and complex, depending on the type of insurance policy you are applying for. We will keep you informed of the status and let you know if additional information is needed. Once the application is approved, your policy will be sent to you and you can select the payment option that works best for you. Upon receipt of the first payment, your policy coverage will be in effect. 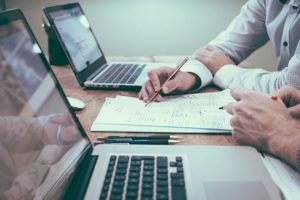 When selecting an insurance product, it is always beneficial to check the individual insurance company’s financial and regulatory standings. The National Association of Insurance Commissioners is the association of regulatory bodies for the insurance industry inside the United States. Click here to find more information on AIG American General Life Insurance on the NAIC website. 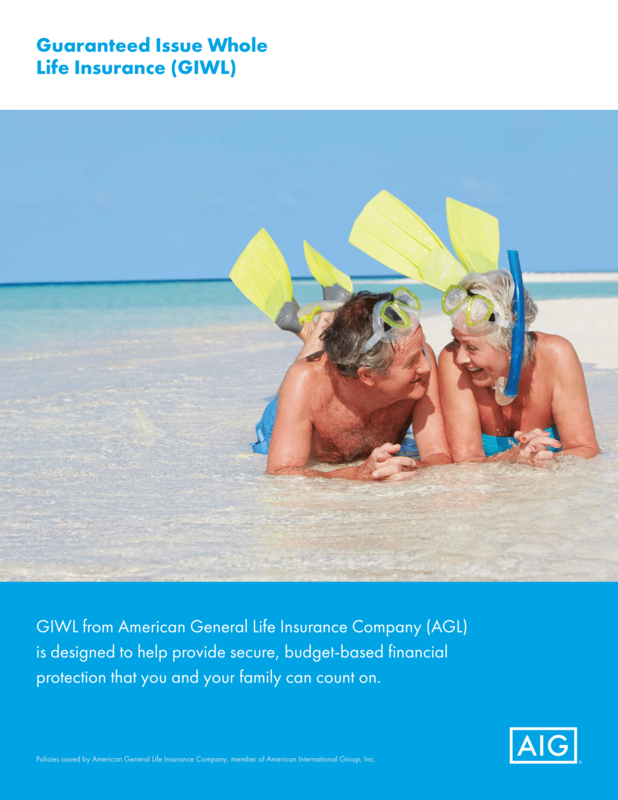 If you are looking for guaranteed coverage from a reputable life insurance company, then AIG American General’s Guaranteed Issue Whole Life policy is a great option for you to consider. Providing final expense coverage of up to $25,000, this policy contains a graded benefit structure that returns premiums paid plus 10 percent, in the event that a death from natural causes occurs inside the first two years of the policy (accidents are covered at 100 percent of the death benefit). If you are diagnosed with a chronic or terminal illness after the two-year graded benefit period, included riders in the policy allow for you to access portions of the death benefits early, to help offset additional costs that arise as a result of your condition. Chronic illness rider: If you get sick with a qualifying chronic illness and need to access a portion of your policy benefits early, this rider will pay out limited to the total premiums paid for the policy, up to 50 percent of the policy’s coverage amount, less any outstanding loan amount. Terminal illness rider: If you become terminally ill and require access to your policy benefits, you are eligible to receive 50 percent of your death benefit. Remaining policy values will be paid to your beneficiaries at death. When selecting an insurance product, it is always beneficial to check the individual insurance company’s financial and regulatory standings. The National Association of Insurance Commissioners is the association of regulatory bodies for the insurance industry inside the United States. Click here to find more information on American National Life Insurance on the NAIC website. About: American General Company is located in the heart of Milwaukee, Wisconsin, that "great city on a great lake" and situated "just down the road" from Lambeau Field, home of the legendary Green Bay Packers. An area rich with ethnic diversity, summer in the City of Festivals sees a different ethnic group hosting a festival almost every weekend. And of course, there's the granddaddy of them all, Summerfest. The diversified economy of the Milwaukee metropolitan area is built on the firm foundation of the high tech, service and manufacturing industries. A wholly-owned subsidiary of the American General Corporation, one of the nation's largest financial service organizations with over $93 billion in assets, American General Life's conservative investment portfolio is make up largely of bonds, mortgage loans and short-term instruments. Fast and accurate. The quote was fair and the processing fast. Very quick and thorough response . See note above about policy delivery time. Otherwise fine. Great! Fast and easy process. Put my mind at ease. Quick to respond with email. I really like AIG so far. They’ve all been very nice and accommodating. Awesome Service! Thanks Cheryl Schlenkert!!! understood and I'm glad they offered the unique product I needed at the correct time. I think it was good. I had many other quotes and American General was a very professional company. Very pleasant and easy overall. Excellent experience. Would recommend to a friend. was set up, but my wife's was not. Very Good products, excellent customer service, fast processing time, thanks. Communication has been excellent thus far. the application process, and things seemed very seemless. BEST PRICES! I got the healthiest rating. Beat out my other insurance company by far.